Todays blog comes from the prompting to begin the year reading in Matthew. As I read over the Sermon on the Mount in my study Bible, certain things stood out like they never have before. I wanted to share them with you, and perhaps you can share my fascination. I love that after nearly forty years of reading, studying and meditating on God’s Word, I am ever a student! So, here is a fresh look at the Sermon on the Mount found basically in Matthew 5-7. This first public address from Jesus is broken up into three sections: 1-Man’s connecting with his Creator; 2- Man’s standards with other man in the physical and moral realm; 3- Man’s standards in his devotional, spiritual realm. This blog series focuses on the Beatitudes found in Matthew 5:3-10, which initiates the sermon. 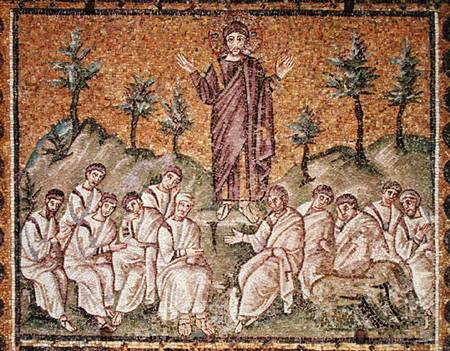 What do you think you know about the Sermon on the Mount and the Beatitudes? Before going any further, you should brief yourself first from your memory, and then from reading through them. This teaching holds some of the most well-known contents in the Bible, even for unbelievers. It was never meant to be “law” or to entrap us. Jesus knew we could never perfectly meet these demands. In Acts 13:39 it states that Jesus’ life, which includes His words, like this sermon, was to set us free from the law of Moses. The Sermon on the Mount was giving us a standard to live by then, and a new law or code. We must strive towards the standard through the power of the Holy Spirit, yielding to His guidance. The more we learn to do this, the closer towards God we become, growing in the likeness of Christ. From reading the Beatitudes, do see any symbolism to the Sermon on the Mount and Moses on the mountain in Sinai? You might be surprised, but there is! When Moses came down from the mountain, the people of Israel responded negatively. They had grown full of dullness and disbelief in Moses’ absence, leading them to sin grossly, even after all God had done to set them free and deliver them. Judgment fell on them. They blamed Moses and were angry with him. But the masses responded differently to Jesus. 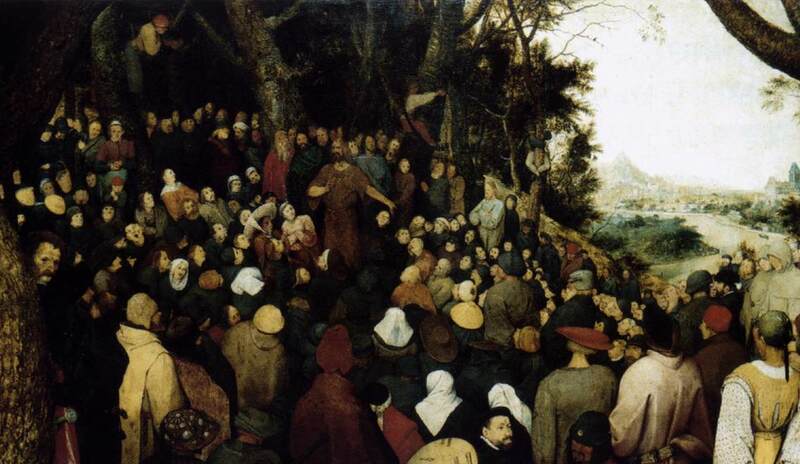 He was in the process of making “all things new.” When He came down off the mountain, marveling at the wisdom of His words, the people followed Him. Here in this sermon, He demonstrated His authority, and it resounded as the final authority, setting a new standard that we must strive for until He returns. There are several misnomers surrounding the Beatitudes. What do you think it means when it says, “blessed?” I was always taught that the best way to interpret the word blessed in the Beatitudes was to replace it with the word “happy.” So they would read something like “Happy are the poor in spirit, for theirs is the kingdom of heaven…” and so on. I have often thought that it was too trite to have the word “happy” associated with these Beatitudes. It would be no easy feat to be happy and poor. To feel blessed in poverty. There is a better way to interpret “blessed” here, though. In fact, we could replace “blessed” with “fortunate” or “favored.” Also, in the Greek, this two-part statement carries a “Congratulations!” with it. So the beatitudes would be better read as “Fortunate are the poor in spirit! Congratulations, you favored ones! Yours is the kingdom of heaven!” It actually makes a great exercise to go through and read each “blessed” this way.